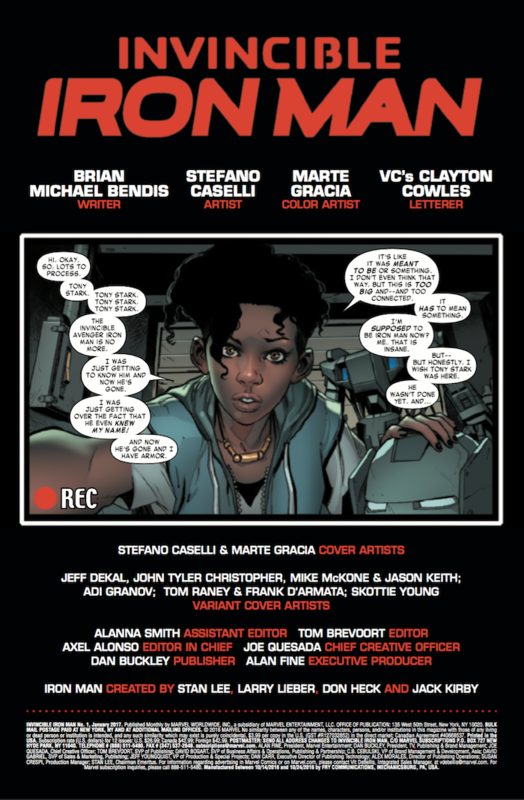 Invincible Iron Man #1,Riri Williams&apos; origin story, is out. Brian Michael Bendis is the creator and writer of this character. And although there should (and could) be a black woman writing this story, he&apos;s no slouch either. Panels pop off the page like Invincible Iron Man is already on the screen. This issue takes us through the evolution of Riri up until she&apos;s built her suit. From the tender age when her aptitude and potential are first realized, we follow benchmarks in her progress and intellectual growth. But more importantly, we also follow the development of her platonic and familial relationships. Those are the conversations that really color how Riri interacts with the world around her. And like many other heroes, her drive to save comes from tragedy. We even get to follow Riri into battle. She&apos;s found her purpose, but that doesn&apos;t mean it&apos;s supposed to be easy. It&apos;s very clear that she has much to learn. Luckily, there just might be a way to get the info she needs to assimilate to the superhero life more smoothly. It&apos;s very clear that there is a singular vision driving this book. 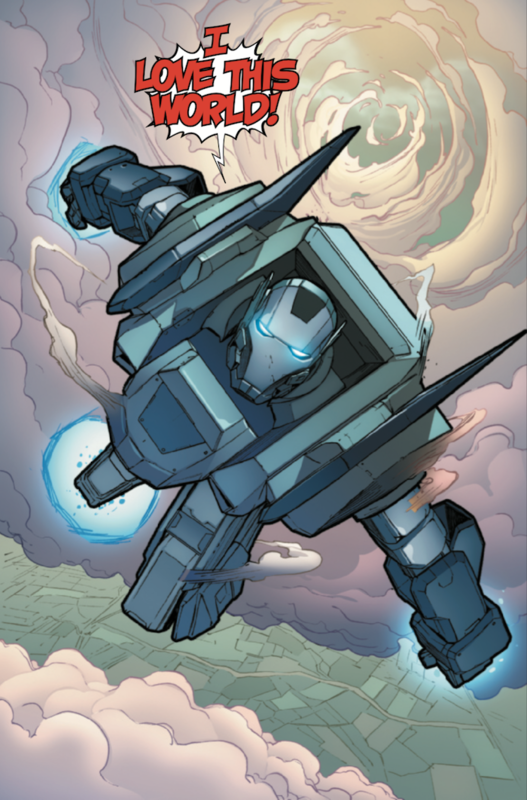 Invincible Iron Man is well-written, beautifully drawn, and the story moves like a well-oiled machine. But maybe that&apos;s also part of the problem. While the call-to-action, become-a-superhero part of it all works great, there is no cultural context. Where are the moments that characters steeped in the black zeitgeist like Luke Cage brought us. There are no mentions of anything intrinsically familiar to where we come from as black people. That&apos;s where the involvement of black women would have paid dividends to make this character and her experience feel real. However, I thoroughly enjoyed the action. Want more posts by Ira Hobbs? Sign up for Blavity&apos;s daily newsletter.